Our recently launched gift package, this terrific iconic box now holds all three of our great baseball decanter bottles. 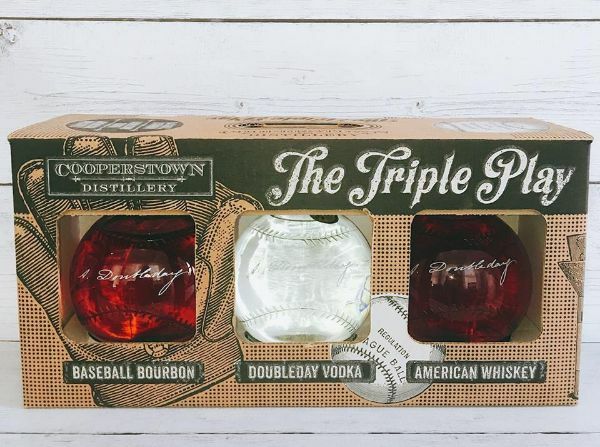 In this nifty 3-pack now comes the Doubleday Vodka, Doubleday Bourbon, and Doubleday Classic American Whiskey, nicely packaged and assembled in an easy-to-carry box. Available in two sizes: 750 ml. and 50 ml.